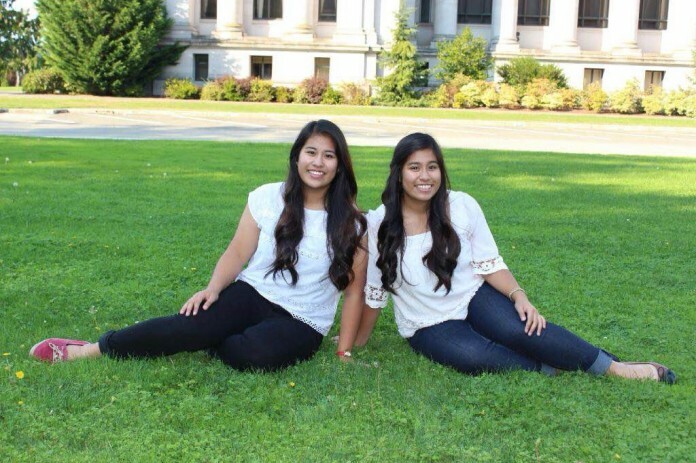 Christina and Catherina Ed are two incoming college freshmen who are bound for success, and seeing as a new school year is right around the corner, they’re here to share their high school (primarily senior year) experience and advice. 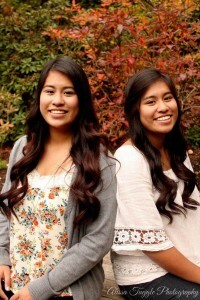 The Ed sisters graduated from Timberline High School with valedictorian status in June 2015, and will be attending Gonzaga University (Christina) and the University of Washington (Catherina) this fall. 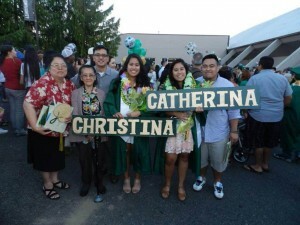 Christina and Catherina Ed graduated from Timberline High School in June and shared the valedictorian honor. The girls have also collected a plethora of scholarships; both sisters received the Fort Lewis Family Member scholarship, scholarships from the Olympia Tumwater Foundation, and scholarships from the North Thurston Education Foundation. In addition, Christina received the Gonzaga University Merit Grant, and GU Regents scholarship. Obviously their consistently flawless GPA’s played a role as well. Having the motivation to maintain a 4.0 throughout all of high school is very difficult. “I knew the end goal was valedictorian status. During my first year, I just did my work and got all A’s. But, when i reached the 3-year mark, I realized that if I lost my 4.0 now it would be so disappointing. I thought I might as well keep pushing,” shares Christina. Although school involvement and grade point averages are two big factors when applying for colleges and scholarships, Catherina agrees that the quality and timing of your application submissions are of equal importance. “I got every single one of my college essays edited by my teachers,” says Catherina. “I think I stressed myself out too much,” she adds. “As long as you do everything early and not wait until the last minute, you’ll be fine”. Christina and Catherina Ed have decided to head to different colleges in the fall. Though they’re going to miss each other, the Ed sisters are both excited to gain independence, meet new people, and try new things in the fall. Catherina is especially looking forward to UW lecture halls, and Christina, the flexibility of a college class schedule. Both sisters are planning to study in the pre-medicine track.